Who Coined The Term "Mullet" To Describe The Short-In-Front/Long-In-Back Hairstyle? In 1972 a small satellite known as Anik A1 was ferried into geostationary orbit by a Delta rocket launched out of Cape Canaveral, Florida. Although taken aloft by the American space program, the satellite was destined to service Canadian citizens as the first of many Telestat Canada broadcasting satellites. 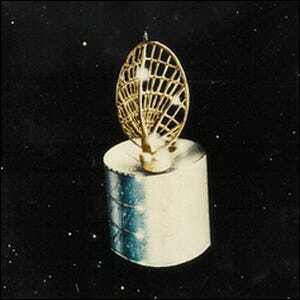 What makes Anik A1 unique among early satellites is that it was the first national domestic and non-military satellite. Anik A1 stayed in geostationary orbit over Canada and was used for television broadcasts. The Anik satellite program also marked the first time Canadian residents from the dense urban centers of the southern regions to the sparsely populates villages of the Canadian North had access to the same television content.